Today, I thought of sharing my experience with a face wash that comes from a popular brand Pears. I have used the one that is Pure and Gentle which I bought in the small size so as top first try the product. I have combination skin but during winters when I use foaming or oil control cleansers they tend to dry my skin thereby resulting in more oil production. So, then I came across this and thought of giving it a try. However, it might not suit the oily skin since it is designed for normal to dry skin. I was using it when my skin was dry so its not for oily skin, i suppose. Here’s a little trivia- Andrew Pears made Pears in London in 1789 for the first time, was the first brand to get registered and since then continues to thrive. Packaging- It’s an orange transparent or rather translucent tube with a flip top cap. It looks really nice. What the Company claims - The product contains the goodness of natural oils and glycerin to maintain a dewy soft skin glowing with innocence. You can see through this transparent product. It is so pure! It maintains the tradition of nurturing the skin with complete gentleness. Pears Pure & Gentle enriches the skin with natural oils and glycerin. It is a great product for maintaining beautiful and innocent looking skin. While moisturizing in a gentle manner and maintaining a soft and smooth skin it also provides a soft lather and a fragrance that is quite mild on the skin. Packaging is good and travel friendly, we can easily keep it in our bag while travelling. The product contains natural oils and glycerin which is good for maintaining the pH balance and moisture at the same time. It is really gentle and people with dry skin can use this to get a nice cleansing experience without over drying. It is really mild just like the pears soap. Nice soothing fragrance which is not overpowering. This variant is for the normal to dry skin, hence will NOT suit oily skin. 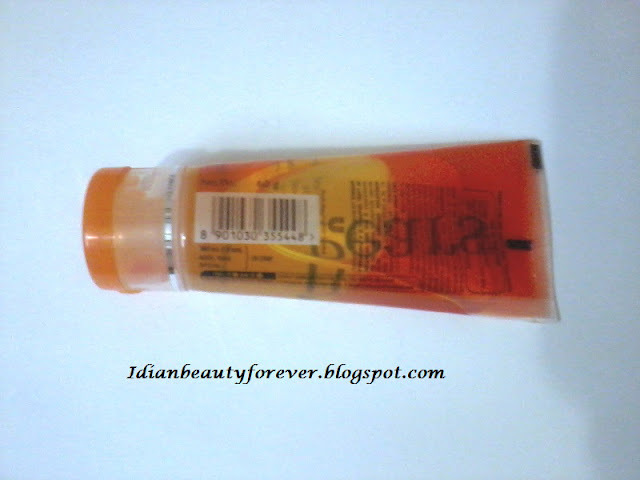 My take- If you have dry to normal skin then this is the face wash for you. It is budget friendly and does a good job as a cleanser. Pears soap has always been my family's fav. Its mild yet effective. Pears facewash is not over-drying so it will suit my dry skin too! haan.. vanu.. that is the fact that i love about this face wash it is cheap, mild and non drying unlike neutrogena ones..
yes tanmayee.. my mom also uses that glycerine soap till today..
thanks lancy.. it is really a good face wash.
i have oily skin.i hv been looking for gentel face wash. i really doubt whether pears face wash it will work for me too though i have started using a couple of days back. This variant is desinged for people for normal to dry and sensitive skin. even i doubt that it will suit oily skin. Try their oil control formula, the green packaging i guess. I was using it when my skin was behaving badly and was dry. I agree with you, it might not suit oily skin since i was using it when my skin was very dry and irritated and that it why i have written in the last segment that it will suit normal to dry skin. exactly the same thing happened to me...my usually well behaved skin has gone red rash like and oily after using this for 4-5 days...strangely though the pears soap bar seems to agree with my facial skin! Its always a task to find skin care products that suits your skin and the requirement.. isn't it ..